What’s the meaning of the Number 13? 4.9/5 out of 220 votes. Some consider the Number 13 an unlucky number. Others, on the contrary, firmly believe this number is beneficial and a lucky number. It’s undeniable that the number 13 causes pretty contrasting reactions. But do you know what this number means? Is the number 13 a lucky or unlucky number? Is Friday 13 really a day like any other? The number thirteen is symbolically extremely strong. This can notably be explained by the mystical dimension that shrouds it. This number is the number par excellence that leaves no one indifferent. Is the number 13 an unlucky number? Some people are extremely wary of it. Among those who are most wary can be found people suffering from triskaidekaphobia: in other words, the fear of the number 13. Even though this phobia about the number 13 is real, we can wonder whether it is justified. Why is the number 13 sometimes considered an unlucky number? Why are some people afraid of the number 13? Why would it be an unlucky number? The origin of this superstition can notably be found in religious beliefs, and more specifically, in Christianity. In the Bible, the number 13 has a specific meaning. And this meaning is perfectly illustrated by the symbolic aspect of the Last Supper, Jesus’ last meal with his 12 disciples. As Judas is the 13th apostle attending the supper and the one that will betray Jesus, the Bible leads to the following interpretation: the number 13 is connected to the suffering of Jesus, who was crucified the day after. By adding up the value of these two letters, the final result is: 10 + 3 = 13. Therefore, how could the initials J.C. refer to something completely negative in Christianity? Consequently, it implies that the number 13, even from a historical point of view, cannot only be synonymous with bad luck. In Aztec culture, the sacred divinatory calendar was set up this way: 1 year = 260 days = 20 months (called 13-day cycles) made up of 13 days. In esotericism, and more specifically in tarology, the 13th arcanum of the Tarot of Marseille corresponds to the Unnamed, also called Death. Unlike what its name brings to mind, this arcanum is not synonymous with bad omens. Quite the contrary, the 13th arcanum of Tarot de Marseille symbolizes, in many cases, the end of a phase leading to the beginning of another. In tarology, this card designates a metamorphosis. It brings with it the beginning of a new era and marks the start of a transition. It must be interpreted as an initiatory death leading to a rebirth. In this regard, the 13th arcanum is very often a positive tarot card that offers the possibility of enhancing your good luck or seizing a new opportunity. 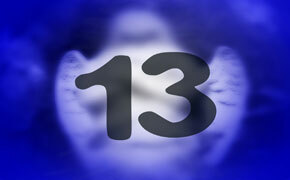 For these reasons and certainly many others, some people are fascinated by the number 13. They do everything they can to make it enter their life and take it, at all costs, into account everywhere they go. The number 13 seems to be their fetish lucky number. What’s the meaning of the Number 13? Some consider the Number 13 an unlucky number. Others, on the contrary, firmly believe this number is beneficial and a What’s the meaning of the Number 13?